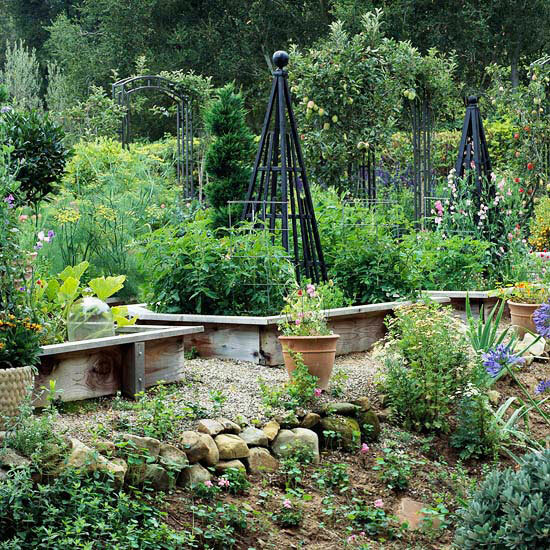 Raised-bed gardening designs can be attractive landscape features. Dress them up with details that add style to their utilitarian form. For example, give corner posts a cap or paint the wood frames to match your house. Test Garden Tip: A wide variety of premade post caps is available…. 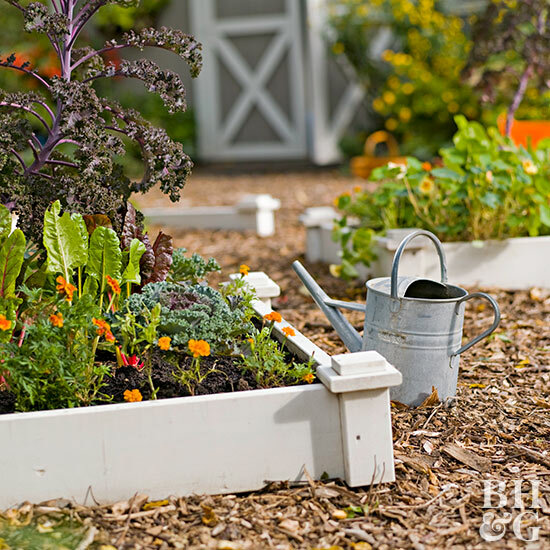 Include trellises, obelisks, or tuteurs in your raised-bed gardening plans. 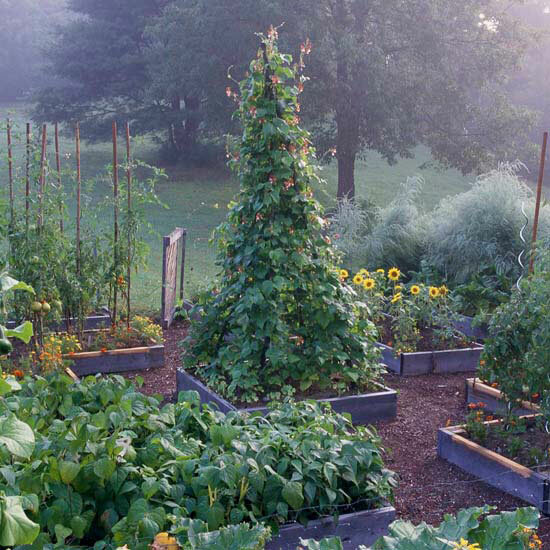 Buy or build one or two to grow vining crops such as peas, beans, cucumbers, and even tomatoes. 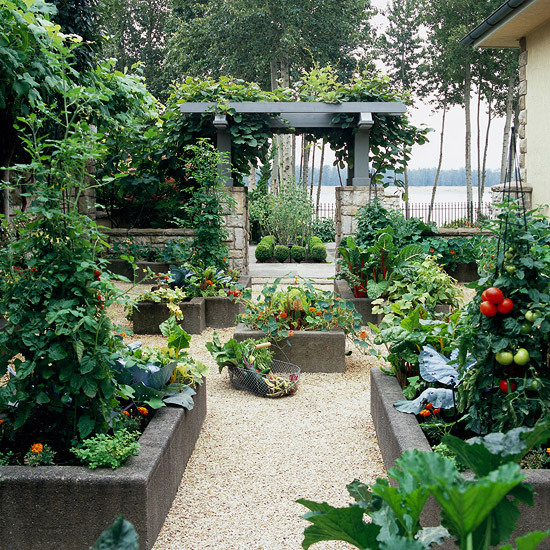 The extra height brings visual drama to your plantings, especially if most of what you grow is relatively short. 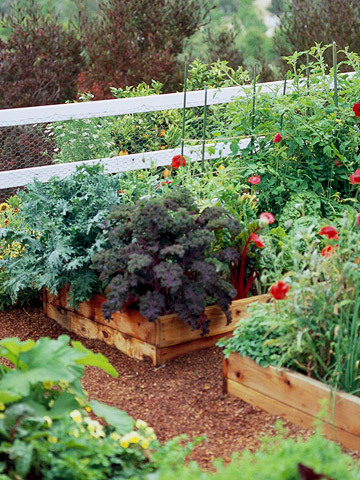 Build your raised beds so you can easily reach the middle from both sides. 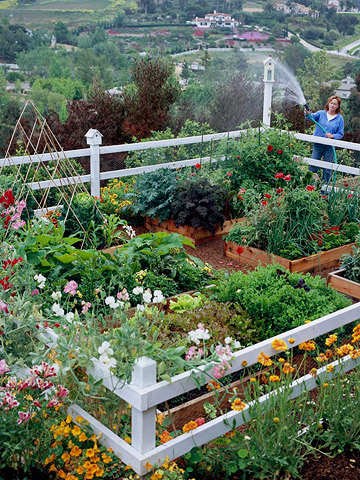 Most raised beds are 4 feet across because the average person can easily reach about 2 feet. 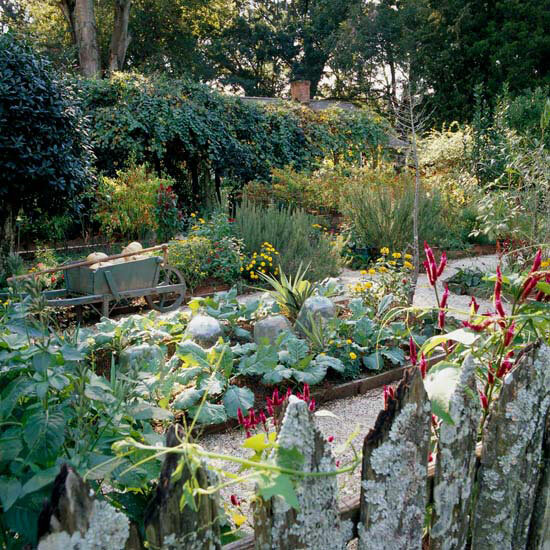 The soil in raised beds typically warms earlier in spring than the surrounding earth. 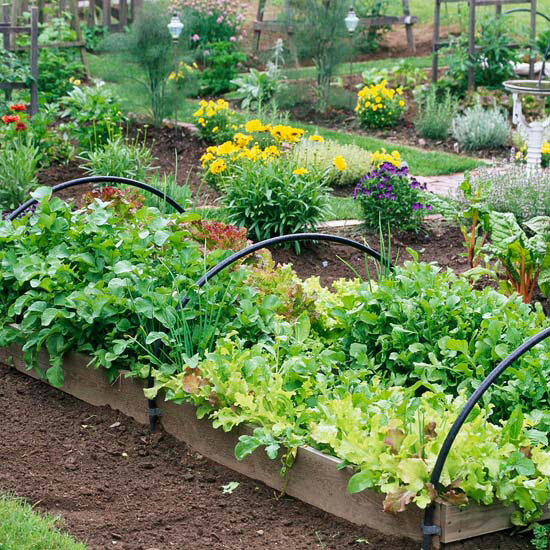 It also tends to dry faster, so you can get cool-season crops planted sooner, extending the growing season and your vegetable crop choices. Test Garden Tip: To extend the gardening season for your raised beds, fashion hoops like these and then drape plastic over them. The makeshift cold frame will help you gain a few extra growing weeks in spring and autumn.